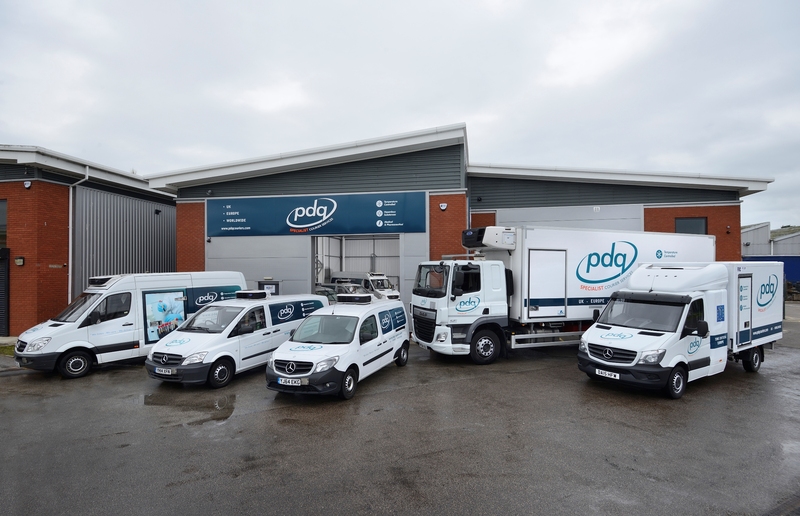 What sets PDQ Specialist Courier Services apart, as much as any area of our work, is the selection of unique temperature-controlled courier options we offer to our clients. We understand the vital role that a trustworthy temperature-controlled courier service will play in serving the medical, pharmaceutical, hazardous and scientific analysis industries. These are all sectors which we specialise in and excel in providing transit for, making us one of the most respected temperature-controlled courier companies in the world. We’ve provided our services to a host of notable clients throughout the public and private sector, maintaining a track record as a leading specialist courier through ongoing contracts with a number of key NHS foundations and multi-national companies. This is indicative of the level of quality, security and reliability we provide with each of our temperature-controlled deliveries. In our ongoing work as specialist temperature-controlled couriers, we are fully aware of the key importance of offering you clear traceability throughout the duration of each delivery. Any client who enlists our courier service has the invitation to monitor the minute-by-minute location and exact temperature levels of their consignments at each stage of its transit, through access to our unique client portal. We understand how sensitive many of the transports are and the key value they hold with our clients, so as the leading temperature-controlled couriers in the UK, we always go the extra mile in offering peace of mind through our reliability, transparency and rapid delivery. As well as employing a comprehensive UKAS ISO 9001:2015 Quality Management System in our work, we also ensure that all of our vehicle drivers have undergone expert training and hold up-to-date ADR and GDP certification. We make sure to closely monitor all of our procedures and see to it that our vehicles are regularly maintained, as well as adhering to all MHRA guidelines. We understand the time-sensitive nature of many temperature-controlled transports, so we keep a contingency capacity across our vehicle fleet, allowing us to offer short notice delivery services at any time. Another unique feature here at PDQ is the fact that our complete certification enables our team of drivers to carry a wide spectrum of hazardous pathology samples, pharmaceutical products, clinical trials, radioactive materials and nuclear medicine. We take this level of quality very seriously across the range of services we offer, establishing a clear level of excellence as temperature-controlled couriers. Our range of specialist courier options across the UK and around Europe are second-to-none. As well as being able to rely on the experience of our drivers, and being able to monitor your item/s throughout their delivery, you can also be confident in the fact that each of the vehicles we employ comes equipped with a range of safety features. This will ensure the protection of your transit even in unforeseen situations, with emergency locking and a series of alarms just two of the safety features we use. One particularly notable feature of our services within the field of temperature-controlled couriers is the fact that we can offer transport for several different items, each at their own exact temperature level, within the same transit. This level of detail and reliability further highlights our status as one of the top temperature-controlled couriers servicing the UK and further afield. Take a browse across our website to explore the many specific areas we can offer specialist courier options for. We’d love to speak to you in more specific detail about how PDQ Specialist Couriers could be the answer to your temperature-controlled courier needs across the UK and Europe. Please contact our team today by phone, by email, or by speaking to us live via the innovative web chat facility on our site We’ll be able to offer a host of transit services, each marked by reliability, punctuality and consistency.